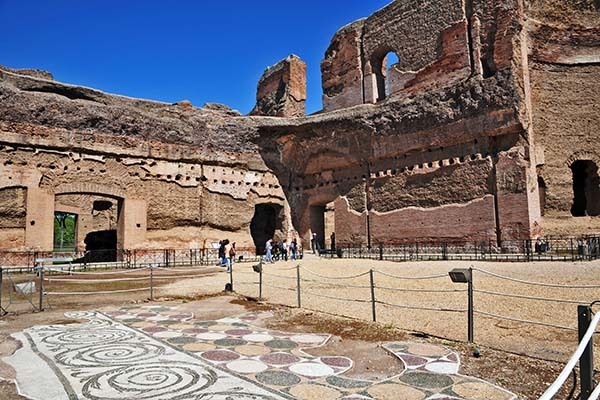 All information about the excavations of the 'Terme di Caracalla' in Rome; the enormous bathhouse and baths of emperor Caracalla. Your ticket is a combination ticket. 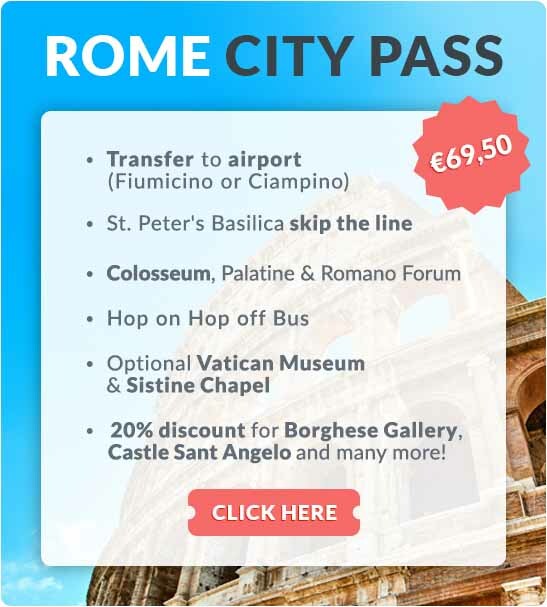 This ticket also provides access to the Tomb of Cecilia Metella and Quintili’s villa (ticket is valid for seven days). These are two of the sights along the Via Appia. 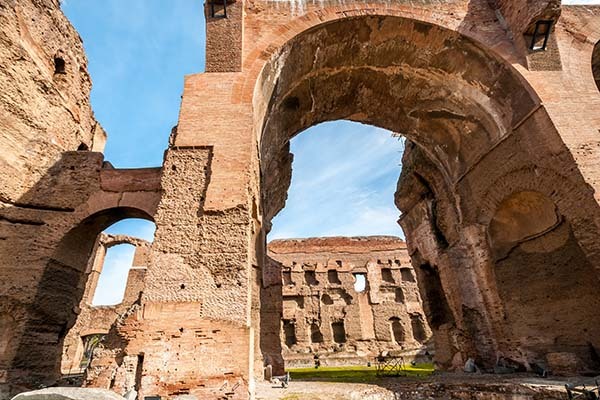 The Baths of Caracalla were built in the 3rd century and named after emperor Caracalla who commissioned the building of the enormous bathhouse complex together with his father, emperor Septimius Severus. 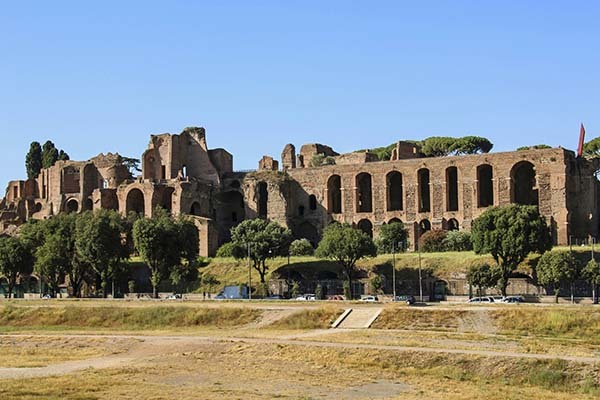 This was one of the largest buildings in Roman times together with the Colosseum. The baths spanning 11 hectares, at the time richly decorated with beautiful mosaics, frescos and marble cladding were the largest bathhouse complex of Rome with room for over 2,500 people. Common people were also welcome in the complex of cold, warm and hot baths, pools, massage rooms, dressing rooms, receptions, and even libraries and brothels. In addition to hygiene, the baths primarily had a social and sports function. 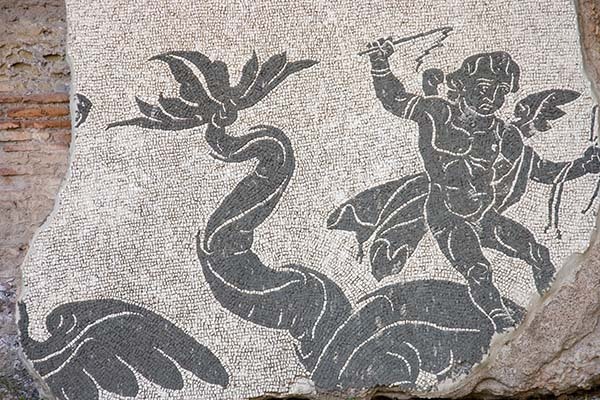 The Roman bathing ritual started with taking a hot-water bath. (calidarium). After that, people visited the lukewarm tepidarium and finally the cold bath (frigidarium). This was often followed by a swim in the natatio, an open-air pool. The baths were used frequently for over 300 years, but lost their function when the aqueducts supplying the complex with water were seriously damaged by the Goths during an attack on the city. Today you can find many ruïnes here, as earthquakes and raids by order of the popes have left their marks. Some areas endured however, as the baths were located outside of the city because of their enormous scope. The Via Appia, or Appian Way, originally ran past the Baths of Caracalla. Where are the baths located in Rome?